With the District 25-6A playoff picture already set, the Leander Vandegrift Vipers and the Austin Lake Travis Cavaliers squared off in their regular-season finale Friday night. 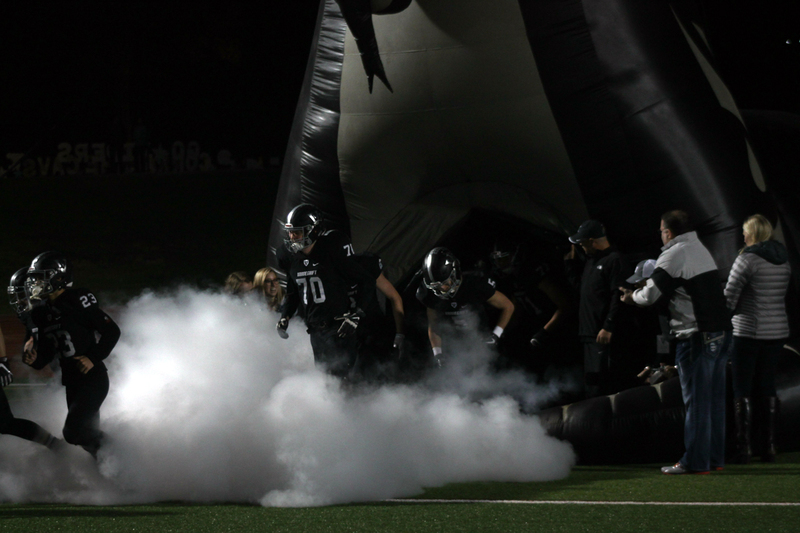 While the game did not have any bearing on the postseason or district title race, it was still Senior Night for Vandegrift; and both teams were looking to build momentum heading into the playoffs. In the first quarter, Lake Travis struck early and often. Senior quarterback Matthew Baldwin connected twice with senior tight-end Kyle Wakefield on a 25-yard touchdown pass and with junior wide receiver Garrett Wilson on a 13-yard touchdown pass to give the Cavaliers a 14-0 lead. 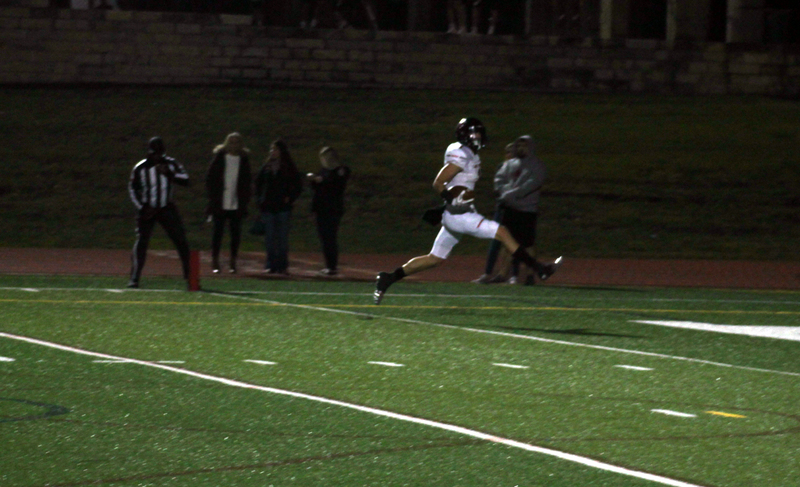 Wakefield then connected with sophomore wide receiver Hudson Card on a 25-yard hook-and-ladder to give Lake Travis a 21-0 lead. Lake Travis appeared ready to add to their lead after their defense stopped Vandegrift on fourth down and took over at their own 45-yard line. Senior linebacker Mark Purvis intercepted Baldwin’s pass on first down, however; and the Vipers took over at the Cavaliers’ 49-yard line. 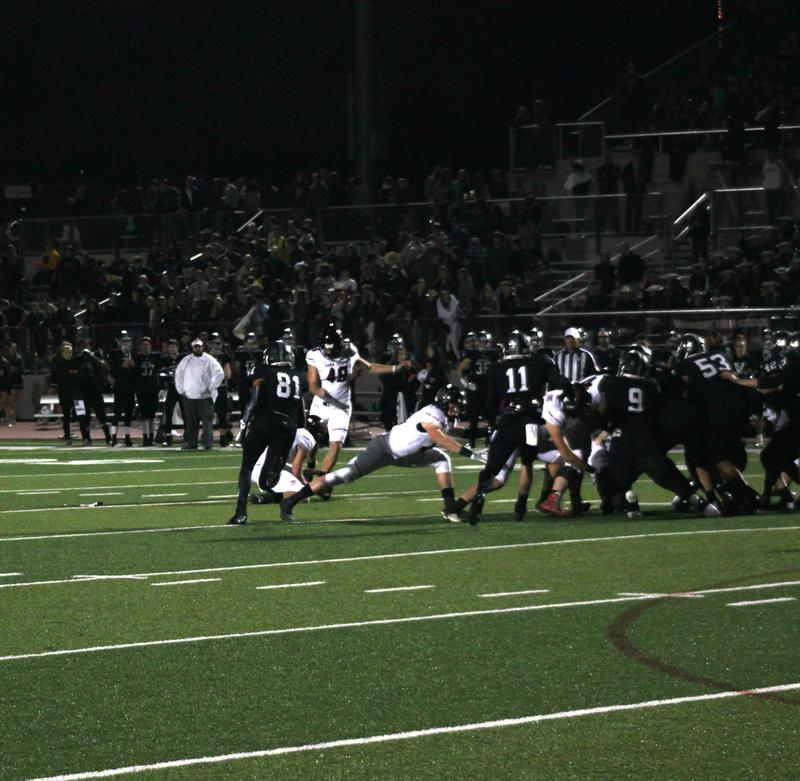 Following the turnover, senior kicker Alex Stadthaus converted a 29-yard field goal to put the Vipers on the board. After Vandegrift’s defense held Lake Travis to a three-and- out on the ensuing drive, junior running back Isaiah Smallwood capped off an 89-yard drive with a three-yard touchdown run. 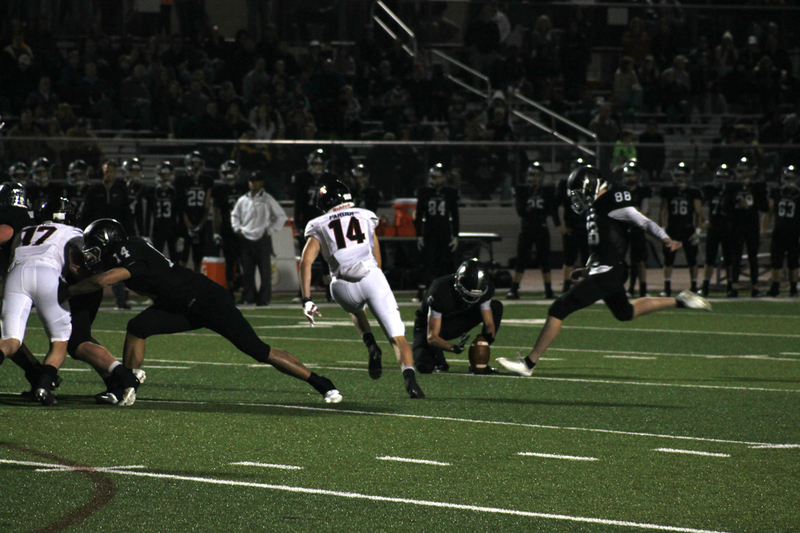 Vandegrift narrowed the gap to 21-13 early in the third quarter when Alex Stadthaus netted his second field goal of the night from 40 yards. The Cavaliers responded with a 43-yard touchdown pass from Baldwin to Card to take a 28-13 lead. Continuing his assault on the the kicking record books, senior Cameron Dicker tacked on a 44-yard field goal to extend the Lake Travis lead to 31-13. Junior defensive back Cole Walther breathed new life into the Vipers late in the third quarter when he recovered a Baldwin fumble at the Lake Travis 38-yard line. Eight plays later, Smallwood found the end zone again on a five-yard touchdown run. Smallwood then caught the two-point conversion attempt to cut the Lake Travis lead to 31-21. The Viper defense forced the Cavaliers to go three-and- out on the ensuing drive, but senior defensive back Ryan Wilkins intercepted Viper senior quarterback Justin Moore’s pass in Lake Travis territory. 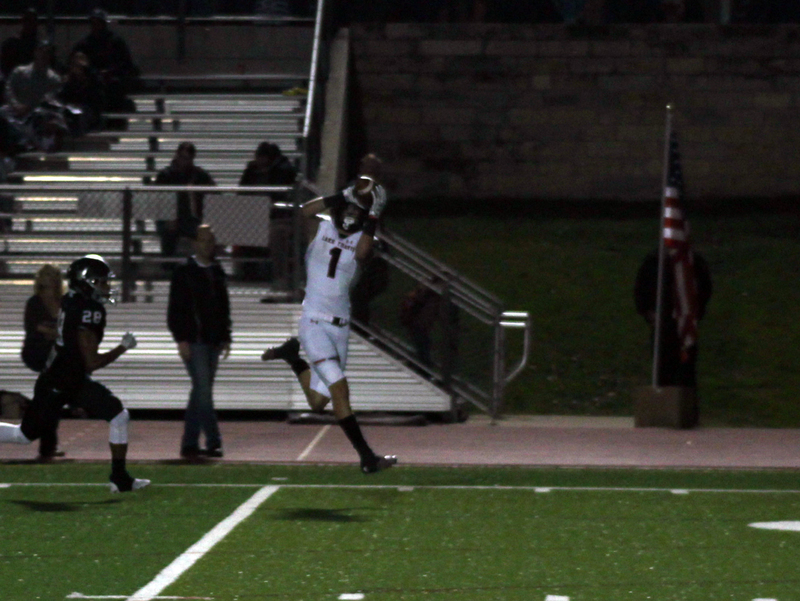 The Cavaliers capitalized on the turnover with Matthew Baldwin’s 66-yard touchdown keeper. The Vipers responded with a 71-yard touchdown pass from Moore to junior running back Brendan Bennett, but the Cavaliers recovered the onside kick. The Vipers got the ball back with 1:44 left, but Cavalier senior linebacker Reid Bacon sacked Moore in the end zone for a safety to bring the game to its final score of 40-21. 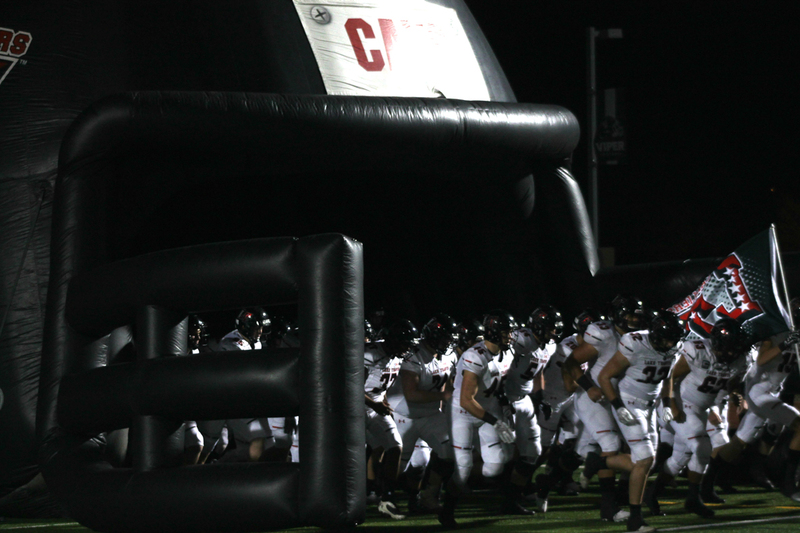 With the win, Lake Travis finishes the regular season at 8-2 overall and 5-1 in district. The Cavaliers will host San Antonio Madison at Cavalier Stadium next Friday in the bi-district round of the UIL Class 6A Division I playoffs. Vandegrift, meanwhile, finishes the regular season at 6-4 overall and 4-2 in district. The Vipers will travel to Heroes Stadium in San Antonio next Friday to face San Antonio Johnson in the UIL Class 6A Division II bi-district round. 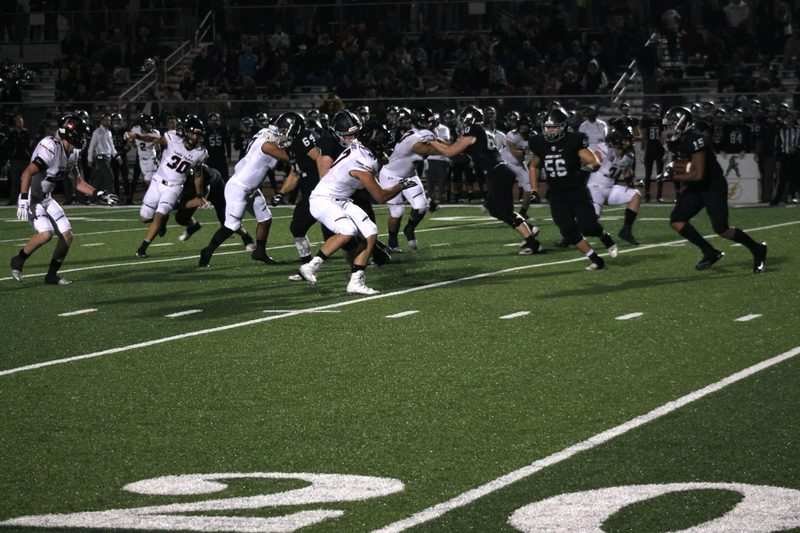 The two teams met in 6A Division II bi-district round last year as well with Vandegrift prevailing 27-26. ← Previous Story Five Way Tie for First?